Long-time Lake Oswego Review editor and Tigard resident Martin Forbes passes away after a long battle with cancer. It is with much sadness that I report the loss of Martin Forbes, who passed away on Saturday after a long battle with cancer. Forbes served as the managing editor of both the Lake Oswego Review and West Linn Tidings from March of 2001 until May of 2015. He was a Tigard resident for almost two decades. As editor of The Review, he was responsible for directing the paper's news coverage and, over his 14-year tenure, he worked with numerous reporters to make sure The Review was the leader in covering stories that affected the community. Whether it was City Hall, Oswego Lake, the chamber, the police or the school district, Forbes not only made sure the paper celebrated the community's many successes, but he also wasn't afraid to point things out when they were not what they should be. As a journalist, Forbes took his role as editor seriously. Whether it was about a story, an endorsement or a political cartoon, he had standards he wanted all involved to be held to. He was extremely thorough in how he did his job, and he strived to be fair and balanced in every decision. He was never afraid to speak his mind or stand his ground on any issue. "My experience working with Martin goes back to 1985, when I was fresh from The Review and new at my first daily, the Klamath Falls Herald and News," says journalist Mikel Kelly, Forbes' longtime friend. "He was a workhorse in the newsroom — then the city editor, but according to everybody I encountered, he had been one of their best reporters ever, combining those valuable qualities of tireless digging and questioning with a light, thoughtful writing touch." What made Forbes special was his ability to do all of that in a soft-spoken manner and with a kind smile. He was especially adept at working with reporters and other editors to foster a sense of teamwork. He was very much a fatherly figure to many young reporters starting out in the field of journalism. He worked hard to help them grow in their careers, and his success can be measured in how many have gone on to be successful in their own careers. "When Martin retired, the mailman came to his party because Martin saw no bounds as to who should be his friend; it was just whomever he truly liked, not ever about status, money or looks," says former Review reporter Jillian Daley. "When he retired and wasn't spending time with his beloved wife Carolyn and his family, he still hung out with us, his team of oddball reporters from his many years on the job." Under Forbes' leadership, The Review was honored by the Oregon Newspaper Publishers Association with eight General Excellence awards — the highest honor given to a newspaper in the state. His staff consistently won more awards for writing, design and photography than most news staffs in Oregon and within the Pamplin Media Group. He personally won countless awards for page design, headline writing, editorial writing, story writing and special sections throughout his 38-year journalism career. 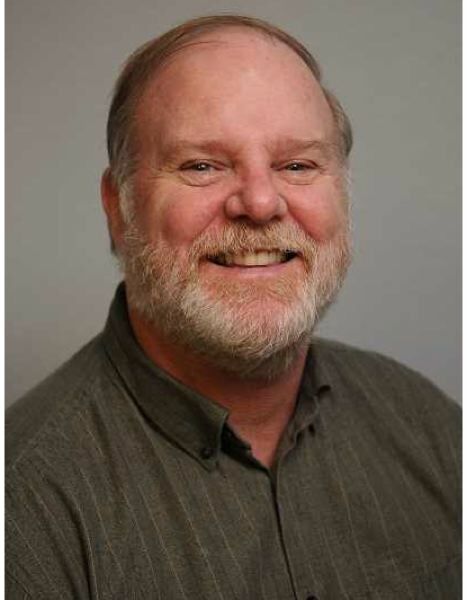 Forbes joined The Review after serving as city editor at the Herald and News in Klamath Falls for 19 years and as a reporter before that for 4 years. He also worked at newspapers in Garnerville, Nevada, and Amarillo, Texas. I always thought that it was ironic that we had hired someone with the last name of Forbes to be editor of The Review. It was equally humorous to know how many calls, letters and visitors came to the newspaper's office addressed or to see Malcolm Forbes. In his retirement column to the community, Forbes wrote, "Journalists, especially at Community Newspapers, are among the hardest working and lowest paid professionals that I know … but community papers have a continuing purpose, do an amazing job, and the Lake Oswego Review is one of the best. This paper deserves your support." As someone who knew and witnessed the personal sacrifices Forbes made every week to do his job to the fullest, I say thank you. Lake Oswego is better off today thanks not only to the countless hours he invested in making sure the paper always went out, but because in the end, he was dedicated to performing his job with the ideals of "Truth, justice and the American way" — a saying he used in staff meetings and endorsement interviews. For many of us, he really was our Superman. "I will never, never, never forget Martin's work ethic, his joy in journalism, his loyalty to his friends, his laugh and his acceptance of those he cared about," Daley says. "It is impossible to sum up such a life in even several volumes, let alone a few words. He was a truly great man." Former Review reporter Cliff Newell agrees. "Martin was a huge guy and knowing him had enormous benefits," Newell says. "I got to benefit more than most people because I worked with him at the Lake Oswego Review for eight years, most of that time virtually elbow-to-elbow. With Martin gone, the fun meter has gone way down on Earth. But there is laughter in Heaven." Kelly admits to being a little too quick with sports analogies, "but I've always believed that you really learn what a guy is like when you play basketball with him," he says, "and Martin was a very good basketball player. (In high school in San Diego, he had to guard a young Bill Walton, for Pete's sake.) He not only had all the quick moves and very fast feet — belying his beefy 6-foot-3-inch size — but he was always the first to call a foul on himself or to help an opponent up off the floor. "In real life, away from the newsroom, Martin was a sweetheart who cared about everybody," Kelly adds. "In our retirement years, we were in a walking group of friends every Wednesday, and he never passed anyone on the street or trail without saying hello. There were no strangers in Martin's life." Martin Forbes was born on May 9, 1952. He graduated from the University of Colorado with bachelor's degrees in psychology and sociology, and earned a master's degree in journalism from the University of Nevada in Reno. Forbes is survived by his wife Carolyn; daughters Jessica and Kristen; and three grandchildren. A memorial service is planned for 2 p.m. on Saturday, Nov. 10, at the Tigard United Methodist Church, 9845 S.W. Walnut Place in Tigard. In lieu of flowers, the family asks that donations be made to Stand Up To Cancer (standuptocancer.org), ECAN Esophageal Cancer Action Network (ecan.org), Committee to Protect Journalists (cpj.org), Bethlehem House of Bread (tigardumc.com/pathways/bethlehem) or the charity of your choice.